November 29, 2163 – Excerpt from business plan of Marina Stylus’s company ArchTrashOlogists, Inc. This was stated after examining the various failed attempts to find and implement an effective and sustainable way to deal with trash and waste. He noted that although methods ..
– none of them were working to contain the growing mountains of waste. In the early 21st century, increasing world population, growing use of non-decomposable plastics, the westernization of the Asian continent and several world economic crisis cycles all contributed to increasing numbers of landfill operations throughout the world – mostly containing petroleum based plastic products. Although attempts at regulation and re-use abounded, most met with societal, economic and/or political failure. Resultant fills varied in scope from simple dump and run (both on the ocean and on dry land) to elaborately designed and fairly costly bioreactor driven fills. Most however, were dry tomb landfills. Technology, societal attitudes and economic resources were, at that time, limited and did not offer a viable opportunity to utilize the materials that ended up in those landfills – which, according to Dr. Ahmad Lotfi (BEng, MTech, PhD, Senior Member IEEE) – the Environmental Protection Agency estimated were made up of about 20% plastics. Various solutions were tried to prohibit entry of plastics to the landfills – such as consumer recycling and a program called Extended Producer Responsibility (EPR) which led to the adoption of laws in many parts of the world that require any company that sells a consumer product to provide “cradle-to-cradle” take-back service to its consumers. However, these programs met with limited success. Before the successful development of bio-degradable, non-petroleum based plastic manufacturing, some 75 billion tons of plastic PER YEAR were generated in the USA alone. Over the course of the 21st century trillions of tons of plastic were sent to landfills throughout the world. In addition to the plastics, the other 80% of landfill material should still remain decently preserved for study and potential economic, if not historical use. Using today’s advanced technologies including InEarthSight (which had it’s beginnings in underground radar), nanobiological techniques along with our newly developed landfill location, extraction, examination and re-deployment techniques, ArchTrashOlogists, Inc. proposes to locate, extract and utilize the buried treasures of the worlds landfills. 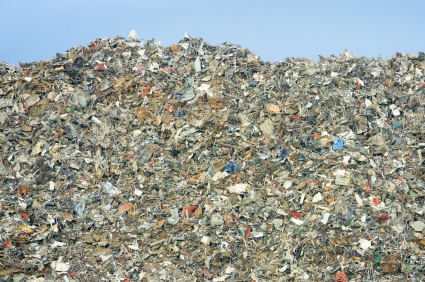 Landfills from the 20th and 21st centuries cover at least 25% of the Earths land acreage. Of necessity, due to the world’s expanding population and desire for a return to rural environments for housing, past and current developers have utilized this acreage – as part of single and multi family community developments. Many parts of the world now have dwellings (homes and walking distance community services) spread out on these landfills. Recent numerous landfill collapse events indicate the need to review the locations, contents and integrity of the world’s landfills. Collapse or damage to the landfills can expose the waste contents to our environment, potentially causing re-emergence of the negative conditions indicated in the past centuries. ArchTrashOlogists, Inc. is prepared to take on the responsibility of that review, providing we are granted legal access to the fills – including use of our custom extraction tools and processes, and provided we are given unqualified rights to any economic benefits derived from the extraction and use of the landfill contents. Our process will leave all structures in place, unless they are proven to be in imminent danger of collapse due to landfill instability. Our process will not only extract the ‘waste’ contents of the fill, but also the original landfill construction components, including but not limited to: polyethylene caps, pipes which were used to catch leachate (this was the typically acidic water with the dissolved contaminants that leaked through the waste) and cement remaining from access roads and etc. We will use our custom landfill location process to find landfills to review. This process uses geological study of potential areas to determine if the bedrock, waterflow, historical nesting patterns and records of historical artificat locations to determine if the site would have made a good landfill location in the 20th or 21st century. It then uses InEarthSight technology to determine if dry cells are present. Dry cells were used to hold one day’s worth of trash. If all conditions warrant investigation, requests to examine and extract will be made via world government channels with the expectation that homeowner objections will be overruled in favor of safety and environmental concerns. Because of the fact that by the beginning of the 22nd century Earth scientists, engineers and business enterprises had found a way to manufacture bio-degradable plastics and glass and due to increased consumer and industry focus on the necessity to reduce, reuse and re-cycle (along with the corresponding technologies that made it economically viable) of that period, there is no need to investigate for landfills post 2099. No new landfills were created past that date. By using ArchTrashOlogists, Inc. resources and staff to solve this problem, the world governments will save trillions of units in cost, provide positive proof of their endorsement of the resurgence of the capitalistic economic model and be removed from responsibility of solving the issues involved. This fictional account of our future entrepreneurs in ArchTrashOlogy, Inc. is my hopeful vision of human kinds eventual ability to conquer its trash problem. What do you see as the future of our trash? Will we end up with a Wall-e type Earth, which we have to abandon due to mountains of non-decomposable trash? What research do you know of that is in progress to find a way to effectively handle the age old problem of trash? This was a really interesting article. It’s definitely interesting to think about but it’s just sad and unsustainable how much stuff we throw away. Thanks! I was very surprised when my research showed how long things can last in a landfill. It is very sobering. The problem with trash has been in place for several decades already and yet it is still a problem not easily resolved. It’s really very sad that people sometimes choose to throw away so much stuff that can still be recycled or use by others. One of my dreams is to create more recycling facilities in South America… heh. Yes, we consume way more stuff in the developed world, but we do still manage our trash more effectively. Just the other day I was lamenting how over packaged some of our products happen to be, when it’s truly not necessary. Good luck with your re-cycling project. I think that it is very sad that many families dispose of perfectly good things. Trash is becoming a serious problem in todays world, yet most Americans are oblivious to this problem. Sometimes it is hard to know what to do with things. Unless we make it as easy to dispose wisely as it is to throw away, we will continue to have issues. At least we are looking to find more ways to deal with trash as we manage to make more of it. Thanks for sharing the research! I am optimistic that we will solve the problem. We could deal with all of the plastics in the land fills by melting them and compressing them into blocks. If we basically made giant legos, we could make houses out of trash. There’s your solution for the 20% of plastic waste. Spread the word Rob, I like it!